Lush Fab Glam Inspired Lifestyle For The Modern Woman: Valentine's Day Gifts Ideas For Her. Valentine's Day Gifts Ideas For Her. One of our favorite celebrations is just around the corner and while it may be a month away it's never too early to begin celebrating the day of love! Whether you're celebrating with that someone special this year or in search of a Valentine's Day gift for your mom, sister or BFF we have rounded up some fantastic gifts to help you express your love this V-day. Read on to see our complete list of Valentine's Day Gifts For Her, plus get the code to save 15%off your gift purchase during the month of January! (Click the following links to shop the valentine's gifts featured above. Personalized Gifts: Vintage photo personalized ring and the Vintage photo personalized necklace. Gifts For The Fashionista: Kendra Scott Fire Necklace and Rebecca Minkoff MAB coral tote. Gifts For The Jewelry Lover: Loved gold disc necklace and the beveled glass and brass box $50. Get your gifts early and so you won't get stuck gifting a miniature heart shaped box of chocolates again this year. 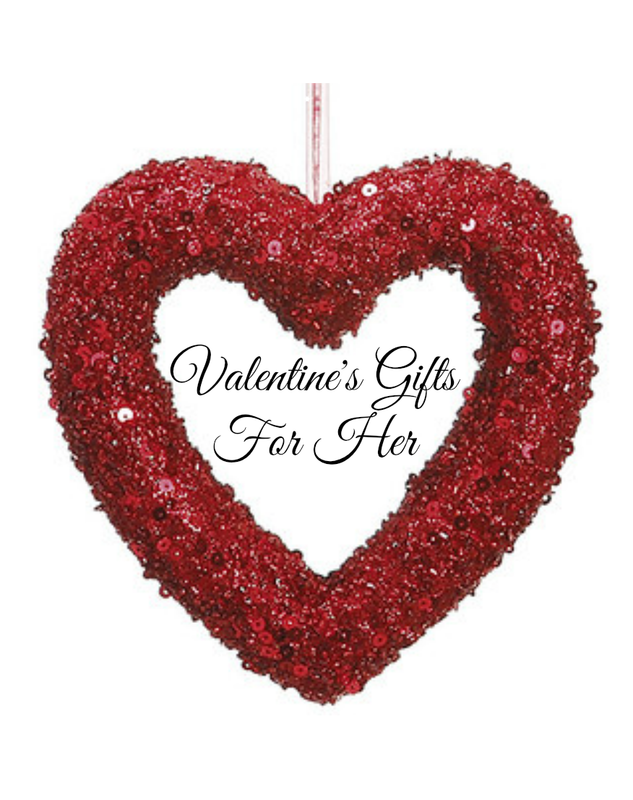 Save 15% off Valentine's Day Gifts at Layla Grayce with promo code LOVE15. Happy Gifting! Which featured Valentine's Day gifts would you love to receive or give? Share with us by leaving a comment below. Great ideas, thanks for sharing! I love the personalized ones but the pjs are cute too!